Audit and assurance services for self-managed superannuation funds. Review of record preparation and access to one of our external bookkeepers, to ensure accuracy in record maintenance. 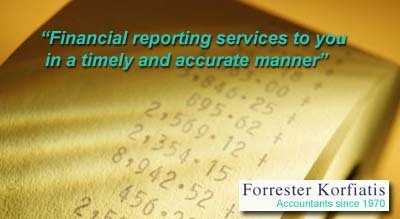 For years, Forrester Korfiatis has been providing expert accounting advice to our clients but the service doesn’t end there. We also deliver seminars, talks and discussions and write papers on today’s most pertinent issues facing the accounting industry. It makes sense really, who better to teach and inform than the experts Forrester Korfiatis, contact us TODAY!